When the weather starts to warm and the birds return to South Coast, it’s time to start thinking about springtime prevention for your pets. Seasonal pet tips can be really helpful, especially when they come from your Southeastern Massachusetts veterinarian. It is a good idea to start the new season with a veterinary check-up. Many of the recommended preventive treatments should come directly from your veterinarian, so it’s a great idea to schedule an appointment for this time of year. It can really help your pet to get a good start on the season and keep him health throughout the year. One of the most important things that you can do for the health and safety of your pet – and your family – is to commit to regular flea and tick prevention treatments. Fleas go dormant outdoors in the winter, but when the thermometer begins to rise, so do the fleas. They can be very hard to get rid of and within just minutes of landing on your pet, they can start reproducing and biting. Fleas can carry other nasty diseases, including the Bubonic Plague. Treatment should occur year-round and special care should be given with dogs that go into boarding, go to the groomers or have contact with other dogs at dog parks and other play areas. Anyone who lives in New England knows about the dangers of ticks. It is important to know how to prevent bringing ticks into your home and it is essential to get your pet on a preventive treatment as part of regular vet care for cats and dogs. 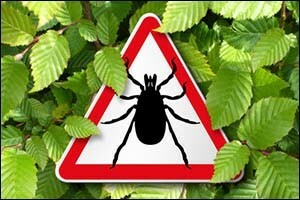 Breeding season for ticks is between April and June, which is when the most tick activity occurs. However, ticks are becoming more resilient to cold temperatures and are being seen earlier and later in the season than ever before. Lyme Disease is just one of the side effects to tick bites, so it is a good idea to keep your pet on preventives year-round and teach your family how to take precautions on bringing ticks into the home. Another deadly pest that can endanger your pet is heartworm. Speak with your Southeastern Massachusetts veterinarian at your next veterinary check-up and ask about heartworm prevention, which is primarily offered for dogs, but can also be available for cats if the situation warrants it. Heartworms are spread through mosquito bites, which is why prevention is typically given in warmer weather rather than in the winter. Studies also show that heartworms are carried by mosquitoes when the temperatures get above a certain level. For example, one study showed that the average temperatures need to be between 55-60 degrees for an extended length of time before the mosquitoes become activated with the heartworm. Heartworm prevention can only be given by your local veterinarian. The reason for this is that testing must be done first to confirm that your pet is not already infected with heartworm. The treatment can be dangerous to your pet if they are already infected, so a good vet will test your pet annually before beginning heartworm treatment again just to make sure they are safe. Did you know that pets can get allergies just like people can? Instead of having symptoms like sniffing, sneezing or watery eyes, pets often get allergies through skin irritations instead. When the grasses begin to grow and the flowers begin to bloom, your pet could be suffering from seasonal allergy symptoms. A veterinary check-up can confirm this and your veterinarian can offer a variety of medications and vet care for cats and dogs who suffer from springtime allergies. Ask your vet about other seasonal pet tips relating to allergies to find out what you can do to ease their suffering. Spring is the most common season for pets that run away – especially for male dogs and cats who leave home to chase after neighborhood females. Consider taking your pet to your local Southeastern Massachusetts veterinarian to ask about micro-chipping. This is a great way to identify your pet if he runs away or becomes lost. Cats can sneak out open doors and windows in the springtime and dogs are prone to break out of yards and off leashes this time of year. Micro-chipping has become a regular step in vet care for cats and dogs to help reunite owners and pets after they have gone missing. If you would like to learn more about seasonal pet tips in South Coast or if you would like to schedule a veterinary check-up for your pet, contact Anchor Animal Hospital by calling 508-996-3731. Our team can provide you with vet care for cats and dogs, exotic pets and small animals right here in Dartmouth. If you have any questions about seasonal pet care, contact your Southeastern Massachusetts veterinarian today for assistance.